2014 seems to have flown by and suddenly we have reached the mid-point of this decade. Amazing. 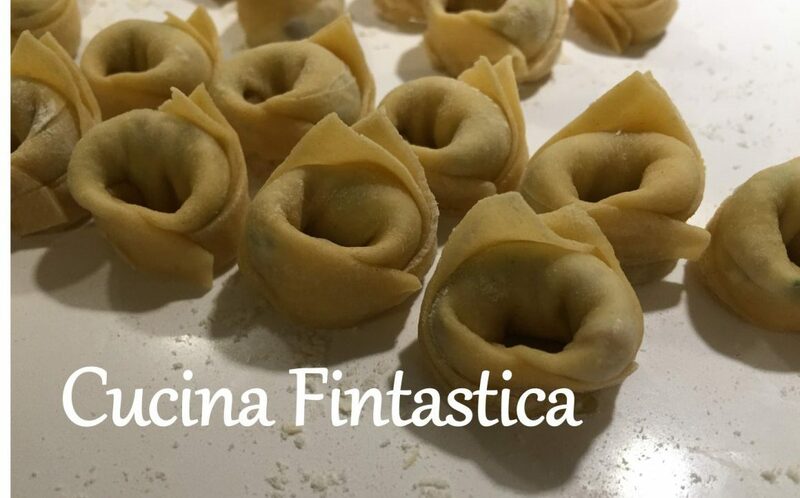 What is quite baffling too is that in a few weeks Cucina Fintastica will celebrate its first birthday. I set up this blog with the initial target of challenging myself to complete three posts. Almost a year later, not only is the amount of posts 15-fold but I also possess a widened range of cooking skills (learnt both the easy and hard way), an impressive library of Italian cook books (ok, five to be exact but still…), and a renewed optimism in my abilities to actually bake a cake (apart from that stupid torta della nonna that is). Anyway, as I mentioned in my previous post, this week I had the intention of looking into the Italian New Year’s traditions. I actually hosted a little New Year’s party, and was obviously keen to utilise the fabulous wisdom of the Italian kitchen in my menu. I did make this salad and tested some nice spinach and goat cheese pastries from “Le ricette della prova del cuoco” but didn’t find any must-haves to prepare for exactly New Year. Now that I am in a bit less of a hurry and have the time to actually sit down when searching for recipes, I can see that there would have been at least one thing not to miss: lentils. Apparently having lentils (symbolising money) on New Year’s Eve should be auspicious for your finances for the coming year. I suppose I hence can’t expect Cucina Fintastica (nor my real career nor any attempts at lottery) to take the world by storm this year either. Well, at least I’ll know better the next time. According to Google, there are also some other interesting New Year’s traditions in Italy. One of the most worrying kind is throwing old plates and glasses out of windows at midnight. In today’s Italy this habit is not quite as widespread as earlier but anyway be warned to take a helmet with you if you ever happen to visit Italy at this time of the year. Or obviously you can always consider changing your travel destination to a nice city where windows remain firmly closed in Dec/ Jan, such as Helsinki. It seems that I have now managed to almost complete this post by writing about things that have absolutely nothing to do with today’s dish… It is in fact another fantastic recipe from Bruno Barbieri’s book “Via Emilia, via da casa“. By just looking at the list of its ingredients, you know you can’t go wrong with it. And believe me you certainly won’t. So what better way to start off your culinary year? Cut the pancetta ham into small cubes. Fry them in a pan with the butter for a few minutes. Add the cognac and let it evaporate. Remove the pan from the heat and once cooled down, add a mixture of the egg yolk and the water. The sauce (that you hence make) should not be too thick. If it thickens too much, pour into the sauce a little bit more water or a few drops of vegetable stock. Move the sauce to a heat-resistant (gratin) dish and cover it with the grated parmesan. Clean and slice the mushrooms. Move them to a pan and cook them with a crushed garlic clove, the bay leaf and some olive oil. Season with salt and pepper and continue cooking the mushrooms for another few minutes. Cut the chicken breasts into cubes. Fry them in a pan on a high heat with some olive oil, the other garlic clove and the rosemary for 3-4 minutes stirring continuously. Add the chicken cubes on top of the carbonara sauce in the gratin dish, and then the rocket leaves. Sprinkle the dish with the grated parmesan, add a trickel of olive oil, salt and pepper, and finally a knobs of butter. Bake in grill for some minutes. Serve the chicken with the mushrooms.